This nicely appointed four bedroom, three bath townhome is located a short distance from the center of Lake Placid. 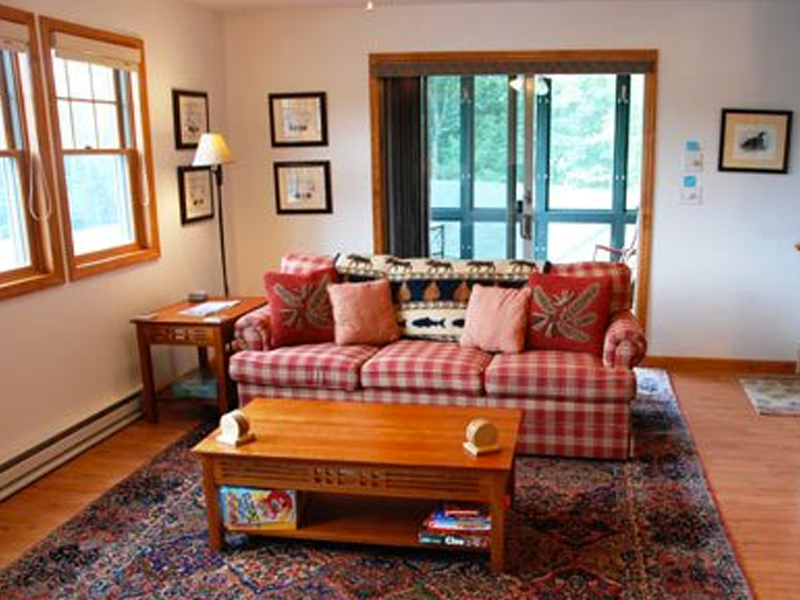 Situated in a quiet part of town, with beautiful mountain views, it is just minutes from the Olympic Arena, Lake Placid Horseshow Grounds, shopping and restaurants. The main level features a living room complete with fireplace, high speed internet (wired and wireless), color cable HDTV/DVD with premium channels and a queen size sleeper sofa. Also at this level is a dining room, and a fully-equipped modern kitchen with microwave, dishwasher, and all necessary utensils, cookware and china. The bedroom at this level has a King sized bed and full bath. The upper level has two bedrooms; the first with a queen sized bed and the second has two queen sized beds. These two bedrooms share a full bath. The lower level of this unit has a fourth bedroom with two twin sized beds. The den has a full size sleeper sofa, games, books, DVD’s, videos and a color cable HDTV/DVD/VCR. There is also a full bath and laundry room at this level. All linens and taxes are included.